Striking and imaginative, Ultraman Gaia is well worth the watch! 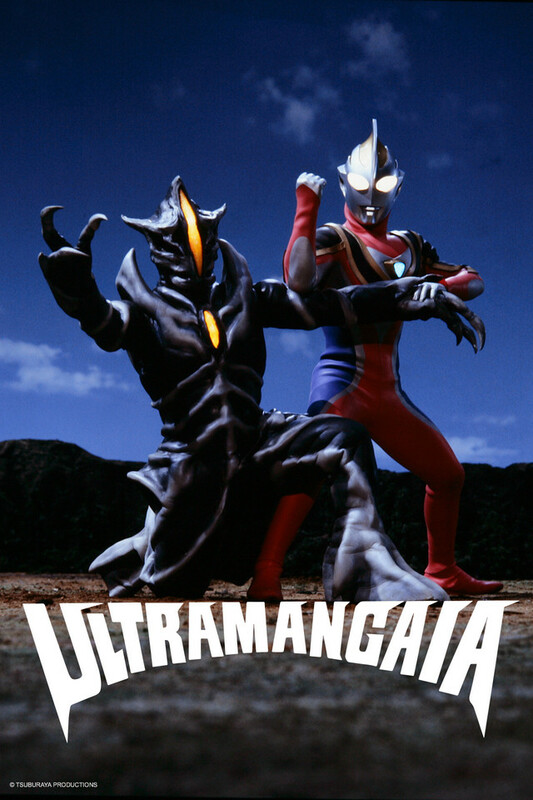 I am so, so glad Ultraman Gaia has finally been added to Crunchyroll's library. It represents the crowning point of three amazing series that get progressively spectacular with each new season, and does its magnificent predecessors, Ultraman Tiga and Ultraman Dyna proud, which is truly an accomplishment to boast of. The plot moves fairly slowly but stands out in tokusatsu. Questions such as "Where are these monsters coming from?" and "Just who is Ultraman" are explored in new ways. While at first glance it looks similar to its companions, Gaia marks itself different from the average Ultra Series in many ways. The defence force is made up of multiple specialized units. The titular character is not an alien, but the manifestation of earth's spirit. And Gaia is the first Ultraman series to have a consistently appearing secondary, and Agul remains, along with HIkari and Victory, unique in that regard. Human characters and a strong sense of buildup compliment the world Gaia delves into. It is dark, and while it is not so edgy as Nexus, and does not kill off as many characters as Leo, it manages to set itself apart from its more lighthearted (and still amazing) counterparts. This series is one of my personal favorites, and a must-watch for any toku fan! I was dying to watch this with subtitles. The DVD I got was raw. At first I didn't care about the plot since I cared more about fights, but now after seeing this, I get the ideas like where did the kaijus come from. I'm so tired of my brother wanting to hear some English! I should preface this review by pointing out that the subs Crunchyroll has for this series are TERRIBLE. They don't seem much better than the kind of thing you'd get on a bootleg. Ultraman Gaia has a lot of great but small touches that make it different from past Ultramen series, such as the emphasis on different specialized EDF units, a protagonist who's a scientist instead of an ace pilot/soldier, and the inclusion of a sort of anti-hero rival character you see in a lot of other toku shows. That being said none of the characters really stand out and the whole series is just kind of there. It wasn't bad, but it never really had any stand out moments, which even Ultraman 80 (a series I think is just terrible) did. Overall I can't really recommend this to anyone unless, like me, you're going through all of Ultraman (or what's translated anyway) in order for the sake of appreciating any crossovers that happen later. Actually, not sure I'd even recommend it for that. Gaia is both action packed and fun. The story is fantastic. Attack team(With it's parent Organization) is one of if not the largest in the Ultraman series, effects are great even for it's time and miniatures sets are greatly and well-crafted. The secondary Ultraman Agul's conflict with Gaia on their views on how to protect is deep and meaningful. Ultraman Gaia is a Super Recommendable series.